Kristine wrote two posts this week. The first post generated great conversation. From the responses two questions came to my mind. First, why do we sew? And second is there anything that is original in fashion today? The first question was answered by Kristine here. There is no need for me to reinvent the wheel. Well written Kristine. The second question was a bit more complicated. I love the fashions of the 50’s, 60’s 70’s and 90’s on so onnnn!. 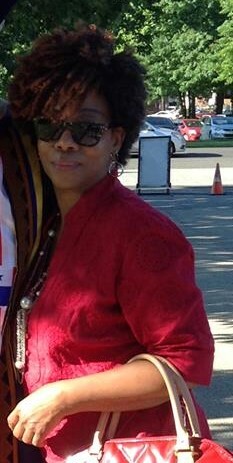 As you can see I did not include fashions era of the 20’s, 30’s 40’s and 80’s. I enjoy looking at the earlier decades; however I am not in love with them. The 80’s was one of the most horrible fashion decades in history. Why, I will address that topic in another post. I owned a large collection of vintage patterns, and I have a large collection of vintage fashion images that I have collected over a period of time. One of my biggest sources of finding vintage fashion is the internet. I went through my collection and went on the internet to search for more information and I was not surprised to find that nothing is original. There is not one design out there that is original, every designer look back on previous decades, history, the environment, a trip, a painting, etc. This information is then use as inspiration to reinterpret and maybe manipulate the exact same design of previous decades. The addition of technology, fabrics, dyes, threads, colors and other materials available to the designer add to mix of whats available to the designer. Below is an example, this is from the Dolce & Cabbana spring/summer collection 2013. Look closely, the dress is a basic dress that you can easily find in your pattern collection. Origina vs Copying or Re-interpretation? You be the judge on this one. 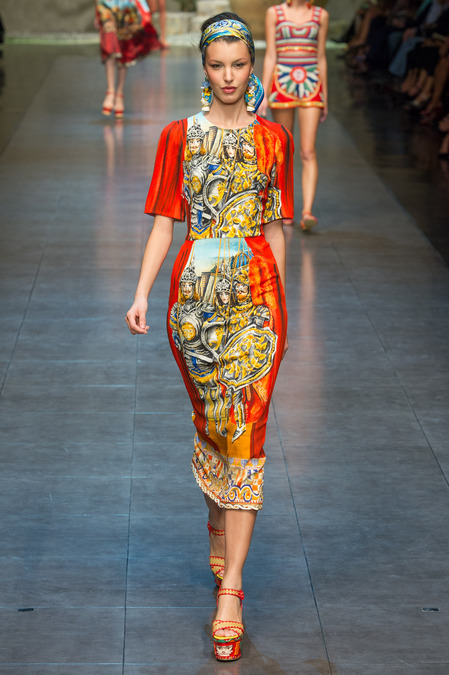 Here is a link to Dolce & Gabbana Spring/Summer Collection 2013, two of my favorite designers. If you watched the slide show you will be able to see history in fashion (The Roman Empire), and the 50’s done with new fabrics and 50’s fabrics. You can see it on YouYube here Beautiful, "YES" original "Absolutely NOT"
I soooo agree with you that there aren't any original ideas left. Great re-interpretations, new uses of fabric and technology but seriously how many ways can you design a dress?! Interesting post! Fashion designs are just creativity borrowed and built upon what has come before... Beautiful, yes.. Original, no. If the term original was the be all end all, designers would be restricted from reworking a design and floating in the money-making waters of fashion. Copying creates trends which sells fashion and every season we see designers taking inspiration from trends, which we know become overexposed and die and then repeated by other designers. Just think if (original) fashion designs were afforded copyright protection fashion prices would rise, and the creative cycle would slow down. Great question Carolyn, how many times can you design a dress? Interesting question. Well, said Sheila, well said. Thank You Linda, that was the intent of the post. If you consider each type of silhouette, type of sleeve, type of neckline, various lengths, types of fabric... I believe that there are a finite number of designs out there, and totally agree with you. Thanks for the link, I'm flattered that you shared it!